What is left of the so-called Balkan Route? The path taken by hundreds of thousands of migrants and refugees in the summer of 2015 has been effectively closed off with border fences and increased police presence along the borders of Macedonia, Serbia, Bulgaria, Hungary, Croatia and Slovenia. In 2015, the Western Balkan countries viewed themselves as a transit zone; the path that migrants took as they attempted to enter the European Union. However, with the closure of borders in 2016, tens of thousands have been trapped on the fringes of the European Union in the Balkans for over a year, and the possibilities for reaching Western Europe are increasingly limited. In Serbia alone, over 4,000 people are still stranded. 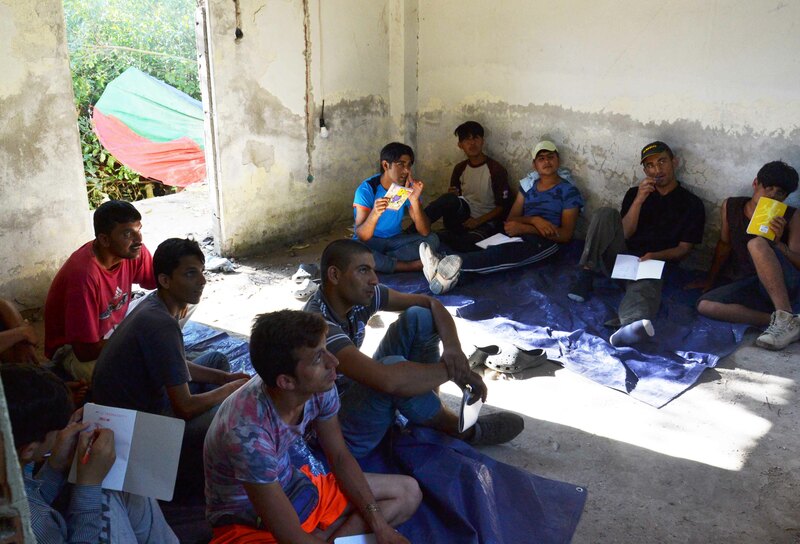 They primarily come from Afghanistan, Syria, Iraq, Iran, and Pakistan and are now at the mercy of slow asylum procedures administered by Hungary, or dependent on smugglers to facilitate irregular border crossings. I spent the summer in Serbia interviewing refugees, migrants and aid workers in the country that lies on the borderlands of the Europe Union. I sought to understand who remains on the Balkan Route and how people are still attempting to cross closed borders. The reality is tragic; although the borders are nearly sealed, refugees and migrants are not abandoning their dream to find a better life in the West, and they are often endangering their lives to do so. In Serbia, the official channel to apply for asylum to the European Union is conducted at the Hungarian border, in two transit zones in Roszke and Tompa. To reach one of these transit camps, one must add his/her name to a list, which is controlled by the Hungarian authorities. Until their number is called, they must wait in a Serbian reception center. Men playing cards inside the Krnjaca Reception Center. This wait-time can exceed 18 months, however, according to a representative from the Serbian Commissariat for Refugees and Migrants, for those who have arrived after January 1, 2017, no one has even been assigned a place on the list. Their waiting is in vain. 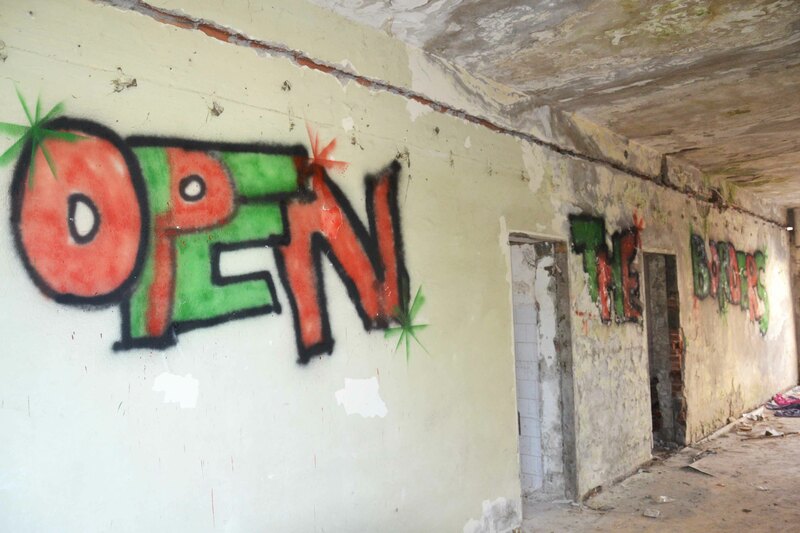 An official from the Commissariat claimed that the most common question inside the centers is “when will it be my turn?” – a question that no official in Serbia can answer. The Hungarian authorities control the list and they offer entry to 10 asylum seekers a day into the transit camps. While waiting for a decision on their applications, all asylum seekers are detained in closed container camps on the border, a practice that is in clear violation of international and European law. Aid workers have very limited access to these camps, but a recent report by index.hu reveals the inhumane treatment that exists inside. Chances for receiving asylum in Hungary are low, as the Hungarian authorities have granted protection to only 444 asylum-seekers in 2017, rejecting 2,503 applications. A rejected application results in removal from Hungary, with the only option left being to re-enter Serbia and find an alternative route to the EU. 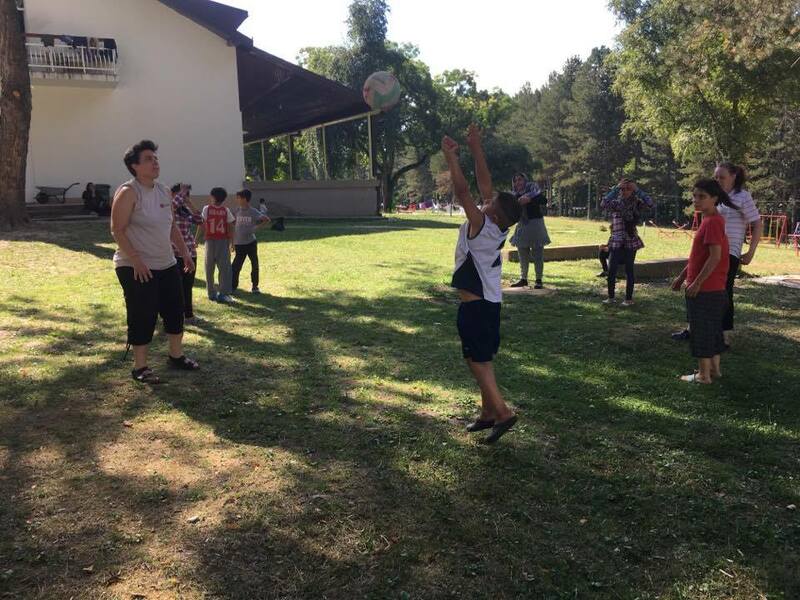 Although inefficient and unpredictable, waiting for a chance to apply for asylum in Hungary does give some families, women and children hope for receiving international protection. However, because single male migrants are not considered a vulnerable group, they often do not register for the list. Instead, they rely solely on smugglers to cross borders. A group of Pakistani and Afghan men come together every afternoon for an English lesson in a squat in Sid, Serbia. Most single men in Serbia are from Afghanistan. They claim that they fled their homes due to insecurity. Many of them report Taliban threats of violence because of their association with “infidels” by working for Western companies or with U.S. or Afghan armies. They saw only one choice for a secure life with a promising future, and that was in Western Europe. To realize their dreams of stability and security, these men have traveled over 5,000 miles from Central Asia, through Iran, Turkey and Bulgaria, finally to arrive in Serbia. The majority tell stories of imprisonment, beatings, starvation and deception by smugglers at every step of their journey. In addition to the mistreatment, they have also spent thousands of dollars to reach Serbia. Returning home is unthinkable for 90% of the men I interviewed. Most men reported attempting to cross the Croatian, Hungarian and/or Romanian borders over 30 times. They claim that they cross the border by foot with a smuggler who navigates and once inside the territory, they wait for another smuggler to come by car and drive them to Austria. Often these smugglers never come and the men wait in the forest, or the “jungle” as they call it, for days without food, water, or a connection to the outside world. 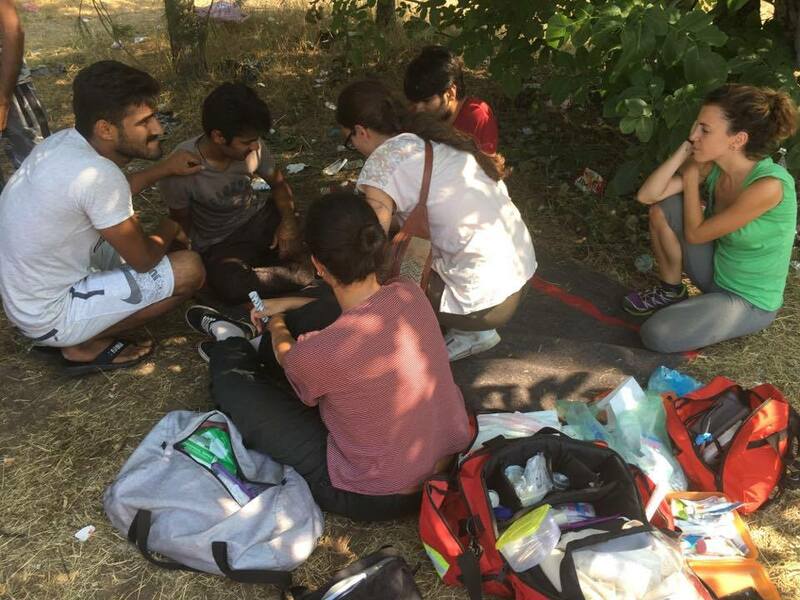 Eventually they are discovered by police and pushed-back to Serbia, a violation of both European and international law, as these collective expulsions prevent individuals from applying for asylum. The refugees also divulged countless stories of brutality by border guards. Many of these men have been stuck in Serbia for almost a year and although they often wear a smile while telling their stories, they state that they are “wasting their lives.” However, most do not consider applying for asylum in Serbia as a viable option due to the lengthy and unreliable application process. In 2017, Serbia has granted just one person protection, out of 158 applications; and in 2016, they granted only 42 individuals asylum out of 574 requests. While 40 applications were rejected, a large majority of the applicants left the asylum centers before a decision was rendered. Many of the refugees feel welcome in Serbia — the government has even piloted a program to welcome children into the school system in an attempt to prevent a gap in their educational development – but the refugees still only view it as a transit country on their way to Western Europe. After speaking to these men, the irony of their situation strikes me; they left intensely insecure homes in hopes of finding security, but in each country they enter they have faced more uncertainty. Life in the European Union is their last hope for living a fulfilled life, but this plan is also risky. Even if they successfully cross the border into the EU, they will likely be returned to Bulgaria once they apply for asylum because of the Dublin Regulation, which stipulates that an asylum seeker should be returned to their first point of entry into the EU. Volunteer groups come daily to a distribution point in Sid with water, generators, and food, giving the men an opportunity to clean themselves and recharge. With evolving technology on the borders and increased patrols, gaining access to the EU by irregular means is a precarious endeavor, and official channels offer slim recourse for receiving protection. Serbia intends to pass a new asylum law, which aims to expedite decision making, but progress on passing the legislation has been slow. All the while, the refugees remain in limbo. What was once an attention-grabbing “crisis” is now becoming protracted and stagnant. Yet the people remain, and the question is how long can their resilience last in the face of exclusion? Posted by metz.235 at 1:49pm August 23, 2017 Bookmark the permalink.